Harwich for the continent, Margate for the incontinent – as the saying goes. So Harwich it was. 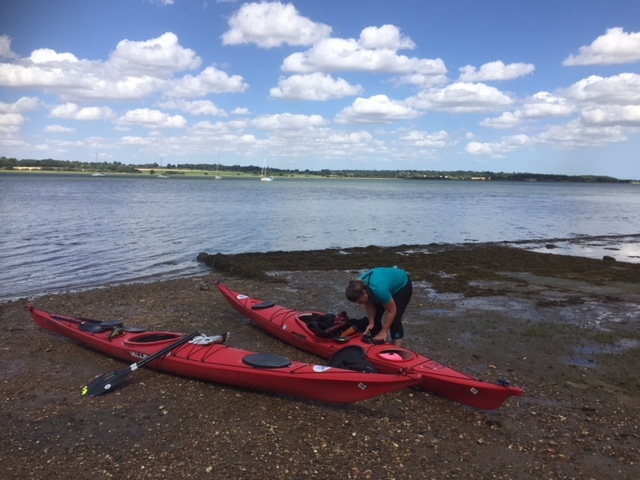 Four of us – Philippa, Richard, Liza and I – had been lured by the Essex backwaters, described by folk who know as one of the last wild places in southern England. Our weekend had been prefaced by day after day of roasting hot weather and flat calm so I had visions of rolling lazily to cool off. It was not to be. On the Friday night soon after I reached the Castle Inn where we were camping the site turned into a scene that would have done credit to a King Lear production – lightning played over the roofs, the wind moaned in the trees and the heavens opened. I tried to remember an article about kayak safety in lightning storms which had circulated on Facebook a few weeks previously. Fortunately, however, the problem did not emerge. In the morning the sky had cleared, and from Harwich beach the national nature reserve at Horsey Island which we aimed to go round looked like a relaxing paddle. We had reckoned without the wind. It hadn’t dropped. With much of the east coast the big problem is mud which, if you get stuck on it, is, at best, inconvenient, and, at worst, lethal. Our plan depended on getting through the shallow channels at Horsey soon after high water at 1pm. But after half an hour of paddling into the teeth of a 30mph headwind it was obvious we had no chance of reaching the island on schedule. Time for a rethink. The big estuaries with their mouths at Felixstowe and Harwich were the obvious fall back. 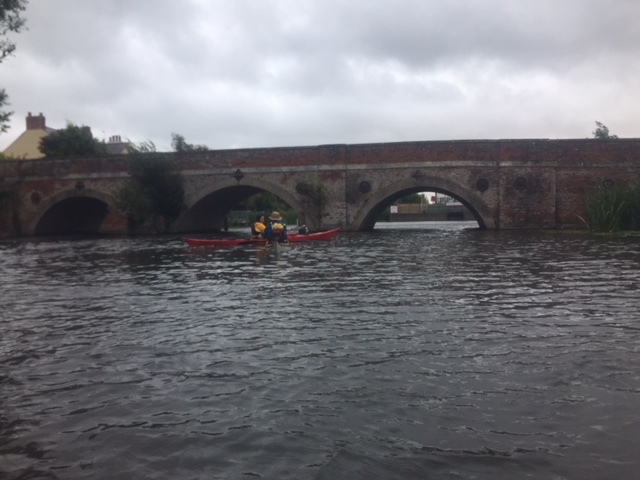 We loaded up the kayaks and launched higher up the Stour. 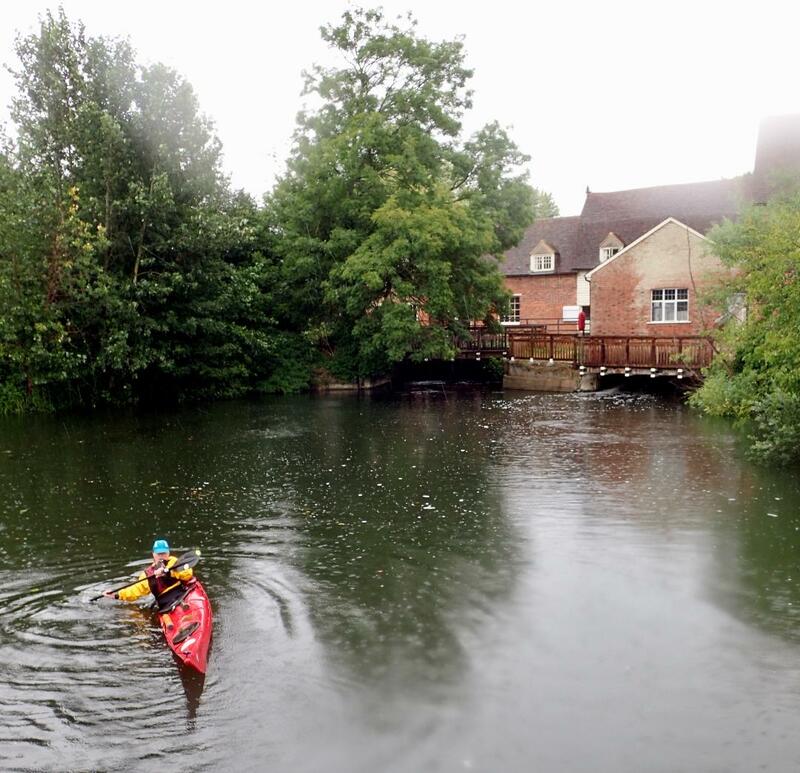 It was Swallows and Amazons territory – with a river over a mile wide, tributaries to explore, and a choice of waterside pubs for when we finished playing. But as the tide fell and the river narrowed, the expanses of mud grew wider. We found an extra gear, and our gentle potter got quicker and more determined as we headed for solid ground. Then it was time for fish and chips which we ate while watching the river turn into a narrow trickle. Sunday was just as stormy so we headed up the Deben valley. Trees hung over the river, fishermen and houses were absent, warblers darted into the reeds while herons looked on suspiciously, and a swimmer heading our way was one of the few people we saw. Around a corner a mill appeared, so lovely it could have been a painting. 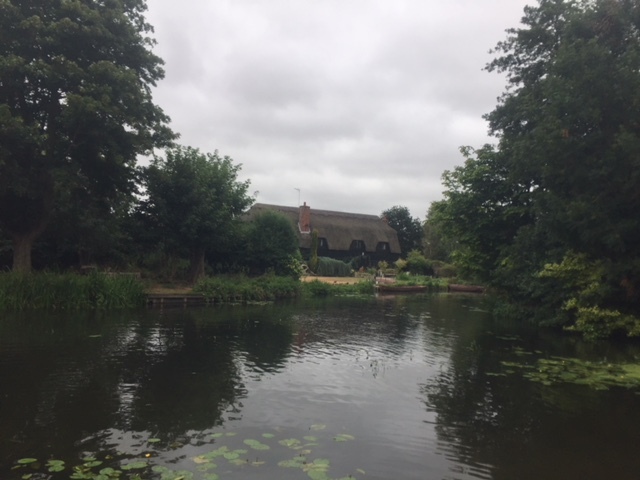 Then the penny dropped – we were passing Flatford Mill made famous by Constable. 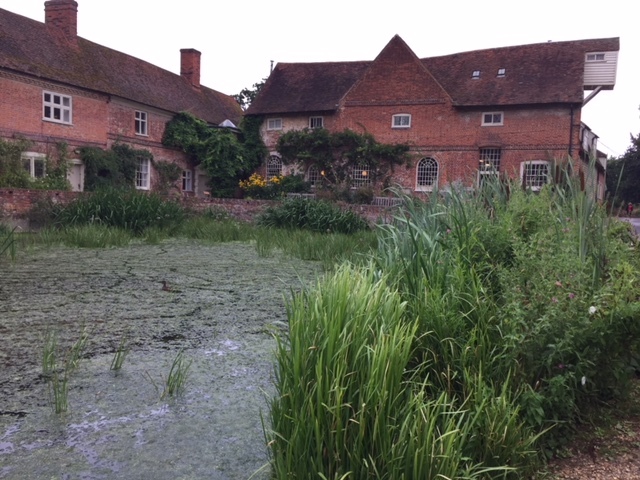 Now it’s a National Trust property and suddenly we were surrounded by hordes of visitors. Not sure I was pleased to see them but the luxuries of a National Trust tea room compensated. And that was that. It was back to the cars, away from Constable country, and away from the throngs come to worship. Meanwhile, Horsey Island remains to be explored – as does the weird and strange spit of land that is Orford Ness. Tides look good for the weekend of 29-30 September, and the Castle Inn remains a convivial campsite. I’m going back. Anyone fancy joining me?